I received an email with some information on the pricing and availability of the BucketVac we talked about a couple weeks ago. It looks like the launch will happen the 3rd week of December at the earliest (I hope they have fast shipping for Christmas). SpeedClean decided to delay the launch so they could make some design changes. We felt the right approach was to make sure we incorporated all the consumer feedback into the product before we launched it. 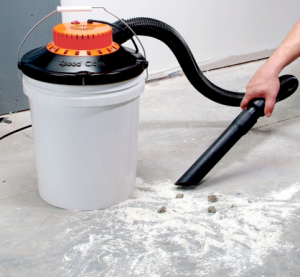 Though SpeedClean is in discussions with national retailers interested in carrying the BucketVac, the deals will not be finalized until after the launch. As not to keep us unhappy, SpeedClean will sell the BucketVac direct as soon as they are available. No final price has been set, but they promise a price under $100.